Barack Obama's trailblazing presidency, a first for an African-American, began 10 years ago, a historic moment that some believed ushered in a post-racial America. Advances in gender and racial equality have been unmistakeable over the past decade, and continue today, with multiple men or women of colour -- notably senators Cory Booker and Kamala Harris -- likely to seek the Democratic presidential nomination in 2020. 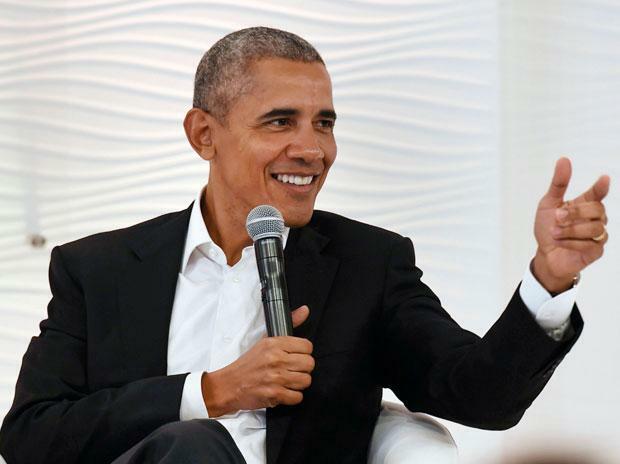 But the Obama years also have given way to a more combative, partisan cultural environment and a Trump presidency -- about to enter its third year -- that has left politics and society bruised and divided. Trump has done his share of antagonizing minority voters. In 2017 he sparked outrage by claiming there were good people "on both sides" at a violent white nationalism rally in Charlottesville, Virginia. House Democrat Joyce Beatty said that while it felt "exhilarating" to witness Obama's inauguration in 2009, she has been discouraged by King's remarks and the tone set by Trump. The president "has not been held accountable for those divisive things," Beatty, a leader in the Congressional Black Caucus, told AFP in an interview. "I am not surprised" that House Republicans have few women and minorities in their ranks, she added. " Race-related tensions have risen. A Pew Research Center study showed the share of Americans who believe racism is a "big problem" doubled from 2011 to 2017, to 58 per cent, mostly among Democrats. "I fully believe that the Republican Party needs to do more to reach minorities and women and young people," said House Republican Cathy McMorris Rodgers, who until this month was the highest ranking GOP woman in Congress. "Trump represents a strong, strong reaction to Obama's presidency, while at the same time the population has become more diverse," she said. But Schwartz made clear that Trump "did not invent racism in America," and that it would be a mistake to assume no Democratic voters are racist. "I just wouldn't say we've got this party of racists and this other party that always gets it right." Still, it is the Democrats who may put forward another black president, if Booker or Harris seek and win the 2020 nomination. And Obama protege Julian Castro, who is Hispanic, has jumped into the contest. Their minority status should not be a hindrance in 2020, argues politics professor Jennifer Lawless of the University of Virginia. "There's nothing to suggest that it would be a liability, in the Democratic primary anyway," she said. Would non-white heritage be a burden for a post-Trump Republican candidate? Nikki Haley, until recently Trump's United Nations ambassador, has an inspiring back-story as the child of Indian immigrants. Should she ever run for president, as some observers predict, she will be closely watched for how she presents her ancestry, and for whether conservatives will come out in force to support her. Obama's historic turn was a huge advance, but it would be naive to believe the nation is post-racial, said Senator Tim Kaine, who was Hillary Clinton's 2016 running mate. "There is no easy next chapter to life in America where we don't think about racial issues," Kaine told AFP, adding that the country is experiencing a counteraction to Obama's presidency.